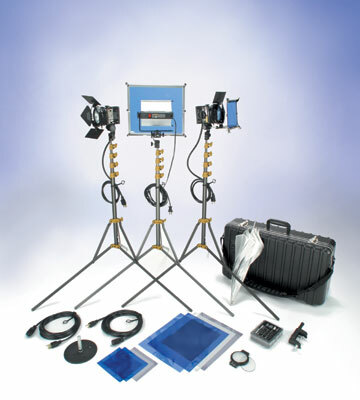 A classic 3 point light kit for smaller location sets. 2 focusable 250w Pro-lights with barndoors for key & fill, with reflective umbrella, plus a 500w broad throw V-light to evenly light up the background. Plus stands, gel-frames & gels to help control the light, and for further mounting options, a Vipod with studlink and a Tota-clamp. Comes with a soft case optimal for local travel. Supplied with lamps. LB-30 Soft Case not pictured. Product image contains a GO-85 Hard Case (not included) instead of the LB-30 Soft Case.